Could not connect yesterday, so I’ll comment twice. On May 9th I visited the second murder site, Poulnabrone Dolmen in The Burren. This dolmen is about 5 feet tall and the opening faces east. 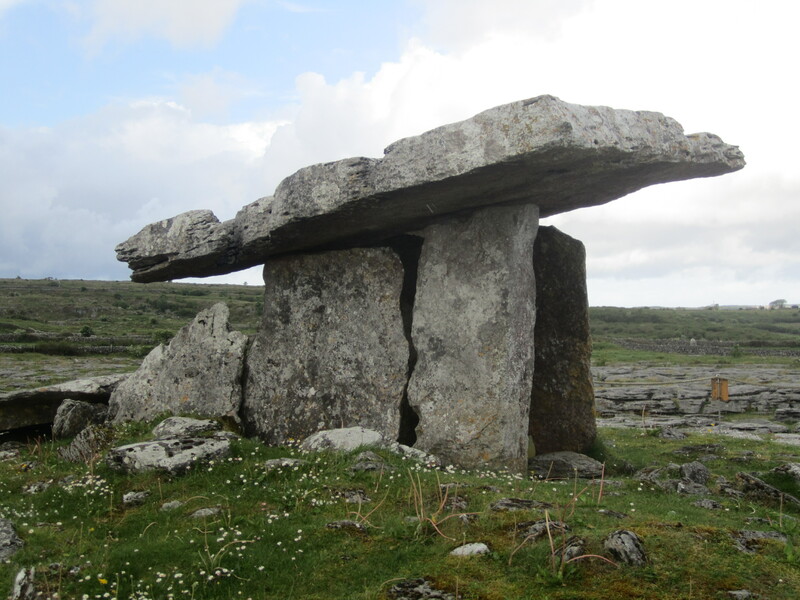 This dolmen is well known and sits among the limestone landscape. In ‘The Keepers of Eire’ Shannon and her dragon Tara are murdered here. I tried to lodge in Galway City, but had no luck and headeed to Clifden (about 1 1/2 hours northwest) instead. Stayed at a lovely place: Ben Breen House B & B just on the outskirts of Clifden and went to Cleggan (a tiny fishing village 7km away) for dinner. I had a open faced crab meat sandwich and a Guinness. Talked with several blokes from England here on holiday to fish. We joked about how one of the guys went flying across the cabin during a particularily nasty swell (one bloke even had a short video on his mobile phone-all you could see was the guy’s red jacket fly from one side of the cabin to the other). 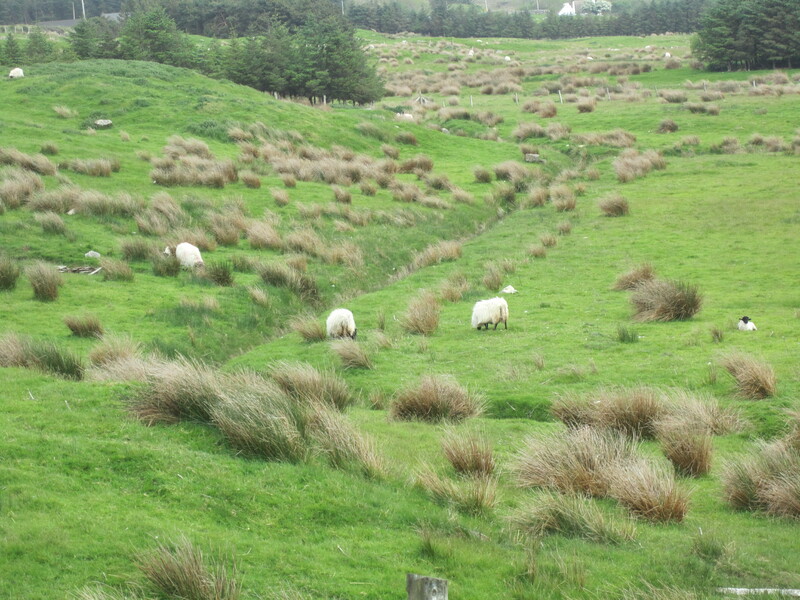 Yes, I finally stopped on the road to photograph sheep. Stopping on the roads is extremely dangerous. First, the roads are very narrow, some can barely contain one car at a time widthwise. Second, the speed at which drivers traverse these roads- 80-100km/hr. Many times when two cars pass, these are only inches separating the mirrors. Thus the reason for extra car insurance.